Given the multitude of challenges surgeons face during mitral valve repair surgery, they should have a high confidence in handling of instruments and in the application of surgical techniques before they enter the operating room. Unfortunately, opportunities for surgical training of minimally invasive repair are very limited, leading to a situation where most surgeons undergo a steep learning curve while operating the first patients. 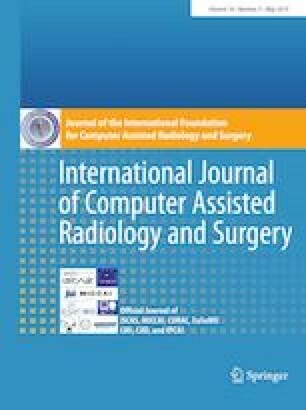 In order to provide a realistic tool for surgical training, a commercial simulator was augmented by flexible patient-specific mitral valve replica. In an elaborated production pipeline, finalized after many optimization cycles, models were segmented from 3D ultrasound and then 3D-printable molds were computed automatically and printed in rigid material, the lower part being water-soluble. After silicone injection, the silicone model was dissolved from the mold and anchored in the simulator. To our knowledge, our models are the first to comprise the full mitral valve apparatus, i.e., the annulus, leaflets, chordae tendineae and papillary muscles. Nine different valve molds were automatically created according to the proposed workflow (seven prolapsed valves and two valves with functional mitral insufficiency). From these mold geometries, 16 replica were manufactured. A material test revealed that EcoflexTM 00-30 is the most suitable material for leaflet-mimicking tissue out of seven mixtures. Production time was around 36 h per valve. Twelve surgeons performed various surgical techniques, e.g., annuloplasty, neo-chordae implantation, triangular leaflet resection, and assessed the realism of the valves very positively. The standardized production process guarantees a high anatomical recapitulation of the silicone valves to the segmented models and the ultrasound data. Models are of unprecedented quality and maintain a high realism during haptic interaction with instruments and suture material. The research was supported by the German Research Foundation DFG Project 398787259, DE 2131/2-1 and EN 1197/2-1. The online version of this article ( https://doi.org/10.1007/s11548-019-01971-9) contains supplementary material, which is available to authorized users.